Getting the right copier is more than just getting a machine that can print and copy. It’s about getting a machine that will help your business beyond just the printing ability. You want it to fit your businesses growth, your budget, and the jobs you need to complete the most. At Albuquerque Copier we have office solutions for all your needs. We are the ones you want to work with when getting a new office machine for your business. 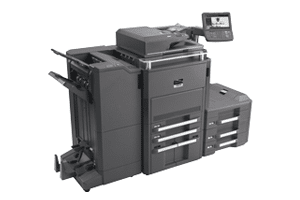 Our copiers and printing machines are backed by the best brands, like Ricoh. We give you the ability to choose from a number of great options that can actually help your business grow. At Albuquerque Copier we are here to help you get the office solution that you need. Don’t worry about paying more than you should, or ending up with a copy machine that falls short. Our staff will do whatever we can to actually understand your business needs and make sure that you are getting something that fits those needs. We believe in doing whatever we can to find the office solution for you that gives you exactly what you need without paying for a bunch of unnecessary bells and whistles. Come see us at today to learn more about how you can get the best office solution for your business. Don’t settle for less. Your business depends on it.